It's bee a tad busy here the past couple of weeks. Much to do these days, however, things have slowed down a bit now and life is getting back to a more steady rhythm. I really shouldn't indulge, but cakes are few and far in between here in our household. I just love baking. 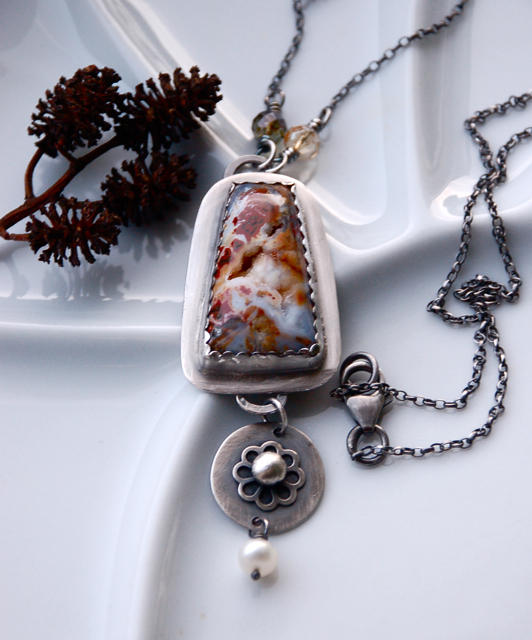 Druzy agate set in sterling silver. Handmade embellishments grace the baseplate. 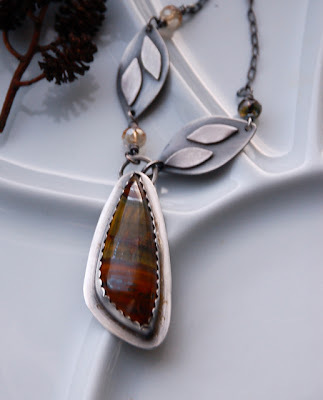 Lightly oxidized to bring out the details. 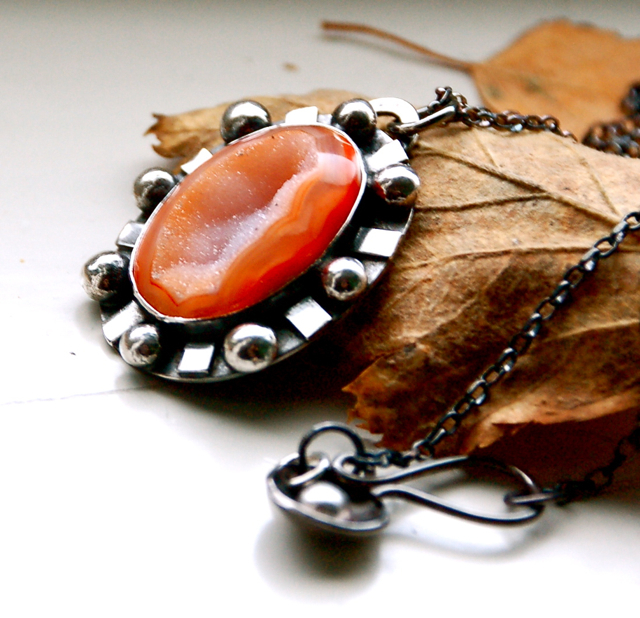 Gorgeous Indonesian agate set in sterling silver. Handmade embellishments. 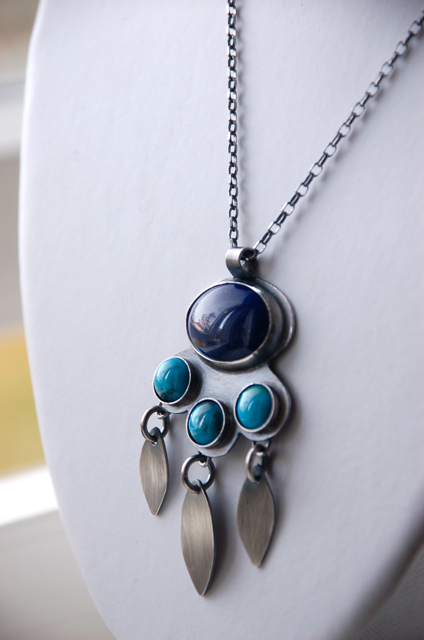 Sterling silver necklace with bezel set lapis and three turquoise cabochons. 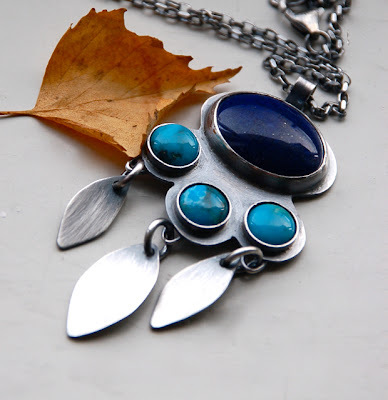 Handmade from start to finish without the use of commercially made parts. Gorgeous tiger eye cabochon set in a scalloped sterling silver bezel. Features two handmade leafs that show off the chain. Birch leaf pendant necklace. Handcrafted from scratch. 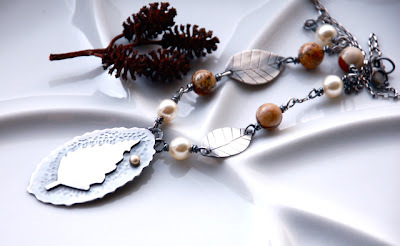 Features picture jasper beads and Swarovski crystal pearls as well as two handmade leafs. 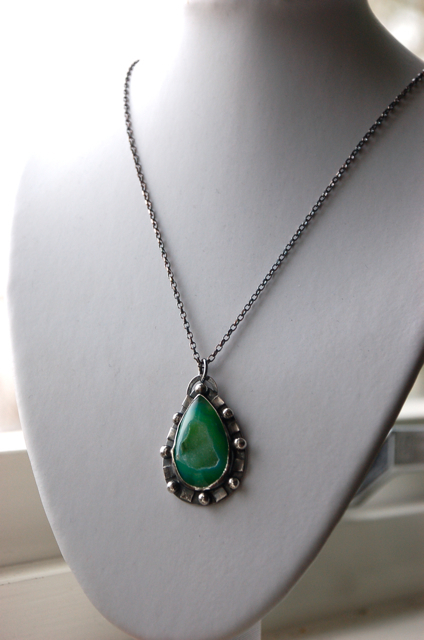 A deep green agate druzy is the focal point of this necklace. Handmade embellishments grace the baseplate and make this pendant pop! Blue Jean baby! 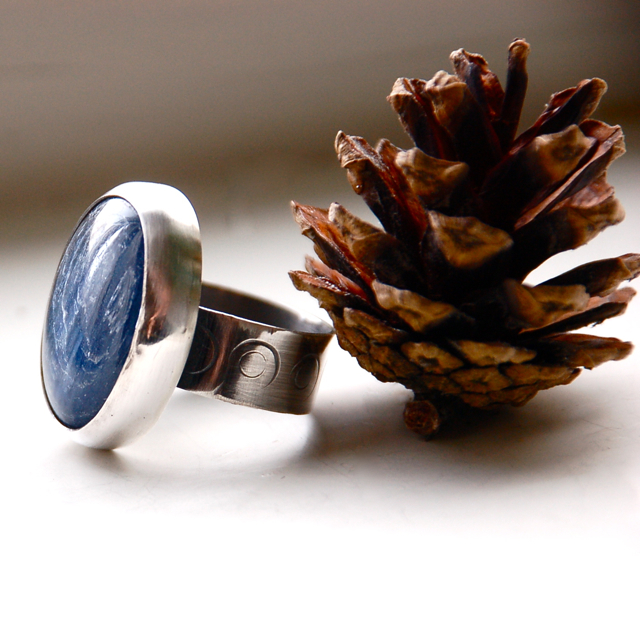 A nice thick kyanite cabochon set in a simple sterling silver bezel. The band is stamped with a small ringlets design. Will be available in the shop tomorrow. Size 8. I ordered tons of picasso jasper cabochons that hopefully will get here this coming week. I am planning on making tons of earrings with those. Ahhhh can't wait. How is your weekend going? What have you been up to?